Historically, culturally and liturgically speaking, Santería has always been a religion that honors women and upholds their importance in society. Some of the most important and pivotal figures in the history of Santeria have been women. Women shaped the way our religion evolved in the new world. Women preserved the lore of our religion by passing on the secrets of our ceremonies, our sacred songs, and the lexicon of information found in our divination systems. Plainly put, Santería is a women’s religion. The Yoruba were always a matrilineal people. Women held great power in the function of their culture and politics. While the Yoruba tribes were patriarchal in the sense that men held the roles of kings and chiefs, the women of the tribes ran the family and orchestrated daily life. The importance of women can even be seen in the powerful female orishas that are found in the pantheon of Santeria. Yemayá is the mother of all living things, who owns all waters and is queen of heaven and of the earth. Oshún, her younger sister is the orisha of the river, the essence of femininity, sensuality, beauty and is a powerful witch and seductress. Oyá is a fierce female warrior orisha who rides the whirlwind, wields a machete, throws lightning and fights by Shangó’s side as his equal. Obba is the queen orisha who descended into the underworld and transformed herself from a rejected outcast, to a powerful sorceress wielding the powers of life and death. While not an orisha, Ikú – the force of death – is often portrayed as female in our patakis (legends). Even Olodumare – the creator deity – is gender-neutral leaning female in Her role as creator of the universe. Women are known to be powerful and important at the heart of Santeria’s religious practice. Many women have played important roles in the history of Santeria. These are some of the more well known women – many of whom are found in the moyuba prayer that all initiates recite in our religious practice. Know that when you call upon the names of these mighty ancestors, you are calling upon the ache of women and the important contributions they made in Santeria. 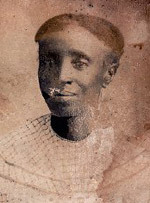 Oba Tero (Ma Monserrate González), a Yoruban slave from the city of Egbado and priestess of Shangó, was brought to Havana, Cuba in the 1840’s and made her way to Matanzas after a conflict with Efunché Warikondo and Latuan (who dominated Santeria practice in Havana). She was one of the most influential founders of Santeria in Matanzas. 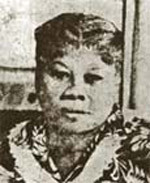 She carried the “asiento” style initiation and her unique Egbado-centric practices to Matanzas, establishing the differences between Matanzas lineages and Havana lineages. She was a prominent oriate in our religion. Her goddaughter, Ocha Bi (Ferminita Gómez) a priestess of Yemayá was instrumental in preserving the Lukumí tradition of Olokun worship and most santeros who have received Olokun have received their orisha from her lineage of descendants. This was especially important because she wrestled the control of Olokun’s mysteries away from the Babalawos, preserving an Ocha-centric lineage of his mysteries. Efunché Warikondó (Rosalía Abreú) a powerful priestess and head of the Cabildo San Jose 80 (a mutual aid society for slaves) was one of the most influential figures in establishing the asiento style of kariocha (crowning as a priest) in Santeria. The slaves of Havana worked together to buy her freedom from slavery. She claimed to be of royal Yoruban blood. 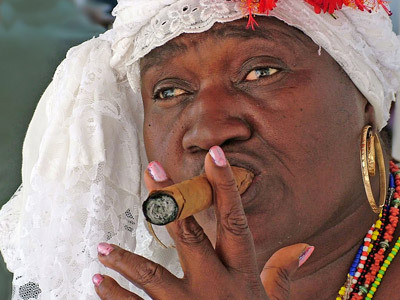 She along with Ayají Latuán (Timotea Albear – a powerful and prominent oriaté) at one point controlled the entire religion of Santeria’s practice within the city of Havana, Cuba. No one could operate in the city without their approval. These two women worked together to standardize and establish the Oyo-centric “asiento” style of kariocha in Santeria. This style of initiation, where the new priest receives multiple orishas in addition to his tutelary orisha, has become the standard practice for those being initiated into the priesthood for 95% of Olorishas. There is a minor variant that comes out of Matanzas as established by Oba Tero (previously mentioned) – but that ceremony is also an “asiento” style of initiation. Aurora Lamar (goddaughter of Efunché and a priestess of Aggayú) was the founder of the Ataré Lineage (Pimienta Lineage) of Santeria named after the Atare neighborhood of Havana, Cuba in which she lived. She had hundreds or even thousands of godchildren that she initiated, and was known for initiating people and allowing them to pay in installments. This resulted in her nickname of “La China del Ten Cent” (The Chinese-looking woman of the ten-cent store) because you could pay in ten-cent installments for your initiation. Women were oriates and are still able to be oriates in Santeria. Women were mighty godmothers initiating hundreds of people. Women divined with diloggún and gave orishas to people. Women truly consolidated Santeria’s practices from the fragments of various tribal religious traditions into one cohesive religion. As the Lucumi people were immersed in Spanish colonial culture, there was a marked clash of values between their women-centered native culture, and male-centered Cuban culture. This along with the interference of Ifa’s male-centered culture in the early 1900’s caused women to lose power and position in Santeria over time. Spanish colonial influence is also evident in the roles that women are typically assigned in modern Santeria. Women are usually left to be cooks, cleaners in the igbodu (sacred room) or as seamstresses for garments and altar decorations. While all of these roles are sacred and important, historically women were the leaders and lore-keepers of Santeria. They were oriates, they officiated initiations, sacrificed animals with the knife, butchered animals, and performed all of the other tasks stereotypically relegated to men. Women were some of the most powerful diviners using the diloggun, yet this role is now typically assigned to men. There are many misconceptions about women in Santeria and many superstitions have arisen around what women can and can’t do in the religion. At the Santeria Church of the Orishas we strive to dispel any misconceptions that are not firmly rooted in our cultural, historic or liturgical traditions. We also work actively to restore women to their honored role as leaders in Santeria (Lucumi/Lukumi). Truth: Due to the patriarchal Cuban culture that pervades modern Santeria, women have been mistakenly taught that they cannot be oriates (masters of ceremonies). Women like those mentioned above were oriates in the past and women can still be oriates today. In fact there are currently female oriates in the United States (at least two that I know of) and there are several more in Cuba. There is nothing to prohibit or prevent a woman from being an oriate. Often people will claim that a menstruating woman cannot be an oriate. This is a misconception as well. When women are on their period they cannot be near the sacred vessels of the orishas – this is true. There is a traditional taboo that prohibits menstruating women from touching our sacred orisha vessels and implements, but women are not constantly on their period. When they are not actively bleeding, they can still participate fully in religious ceremonies: they can divine and they can be oriates, including sitting on the mat and performing itá. This misconception is probably rooted in the misogynist taboos inherited from Spanish male-centered culture or from fear around the natural processes of a woman’s body. Truth: This is a misconception with roots in Ifá and in Cuban patriarchal culture. In Ifá the construction of Eshu (mistakenly equated with Eleggua) is relegated to Babalawos only. But this is not Eleggua. Eleggua of Ocha is constructed by an Olorisha not a Babalawo. It is birthed in a special ceremony by olorishas (not babalawos) and is used in the Kariocha ceremony when a person is made a priest/priestess in Santeria. 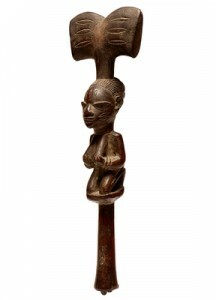 The Eshu of Ifá is not used in that ceremony and should never go to a person’s head in Kariocha (ordination ceremony). Elegguá of Ocha can indeed be made by women. Women can be initiated into the sect of Eleggua as a priestess. Women can initiate another individual as a priest or priestess of Elegguá as well. If they can do these things, they can most certainly make the “small version” of Eleggua given in the reception of The Warriors (Guerreros). They can also wash Elegguá in the sacred room when he is being birthed, and can wash his diloggun too. There is no taboo against women doing this, and the excuse that “the energy of a man must be present to make Eleggua” is misogynistic superstition perpetuated by Ifá and patriarchal Cuban culture. Many will argue this point and I expect to receive much backlash on this point alone. Truth: Women can receive the initiation of Pinaldo (Pinadu) where they receive the knife and are given the permission to sacrifice animals with the knife. As part of this initiation, the initiate must sacrifice animals with the knife. If a woman can receive pinaldo she must sacrifice an animal as part of the initiation and therefore is given license to sacrifice animals. Some will dispute and say that sacrificing animals carries to “hot” or chaotic of spiritual energy to it and it could cause the woman to have menstrual issues. This is particularly damning evidence of misogynist patriarchal misunderstandings of women’s menstruation, perhaps fear of a woman’s mysteries, and is total nonsense. In traditional African society women sacrificed animals and butchered them for food. If a woman can receive the knife or be crowned as a priestess of Ogún (the embodiment of the knife’s cutting edge) she can certainly wield the knife for eyebale (blood sacrifice). A traditional oshe depicting a woman propitiating Chango by holding her bare breasts up in supplication. Misconception: Women cannot be initiated as a priestess of Chango. It will give her manly characteristics or make her into a lesbian. Truth: The fact that this misconception even exists is ridiculous. The orisha to whom one is initiated does not change one’s sexual orientation. It does not change a person’s characteristics either. In fact, a person’s tutelary orisha is the one in best alignment with that person’s natural energy and destiny. You aren’t changing someone by initiating them, you are lining them up with their destiny. If a woman is legitimately a child of Changó then she should be initiated as a priestess of Chango. Additionally, in Yoruba practice women lead the worship of Chango. They would kneel before his shrine and hold up their bare breasts to him in supplication. Any men crowned as priests of Chango would grow their hair out long and braid it like women, then wear skirts when worshipping Chango. The thought was that Changó was such a “ladies’ man” that he would only answer the prayers of a woman. The misconception that women will become manly if crowned as a priestess of Chango is something that flies in the direct face of cultural tradition and historical evidence. It is nothing more than misogyny and homophobia in action. At the Santeria Church of the Orishas, we strive to educate others about the misconceptions that are commonly found in Santeria and to give historical and cultural evidence to disprove these misconceptions. We hope that you’ll think about what we’ve provided here in this article and determine for yourselves what makes sense and what is just superstition. Women have always been at the heart of Santeria and they, like our powerful female orishas, deserve to be treated with respect, honor and held in the highest regard. Thanks for adding your information to the mix. The point of the article was to demonstrate that this religion is a woman-positive one and not a male-dominated one as many people would have you believe. What doest it mean when the women cutts there hair really short? And she wears extentions to cover it. shes also a child od orisha. And why cant i touch the items or statues? why wont they let me ask them questions? She may be cutting her hair short for convenience of care. During our initiation as priests and priestesses the head is shaved, not cut short, but afterward it is allowed to grow back naturally. There is no ritual requirement for short hair or anything like that. You cannot touch any religious items unless you are initiated to that orisha. You have not received the mysteries of that orisha therefore you are not permitted to touch it. Santería is not a free-for-all religion. We have rules and that’s one of them. If you haven’t received X then you can’t touch or mess with X. Initiation or reception of something is what permits you to touch it and work with it from then onward. You are always able to ask questions, but the priest or priestess may not be willing to answer your question. Some priests are more secretive than others. There are many who feel that our religious traditions are best preserved by keeping secrets away from those who are not initiated to our religion. This is an old practice dating back to the days of persecution in colonial Cuba. Personally I have no problem answering questions as long as they do not reveal any of the secret mysteries or initiations within our sacred room (igbodu). if am a yabo, can i still order a mojo bag for myself? 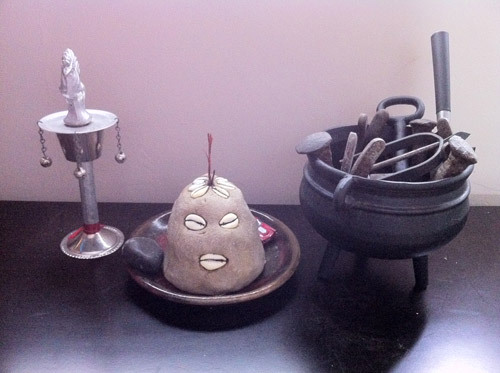 Mojo Bags are not part of Santeria – they are part of Hoodoo. I recommend you ask your godparent for guidance on that one. Thank you Dr E. for replying, i truly appreciate it..
Hello, can you please explain what an Apetebi is and their role? Thank you. An Apetebi is a ritual assistant of a Babalawo. Exactly what they can and can’t do, I don’t know. That hasn’t been explained to me yet. I’m an Orisa Priest initiated into traditional Afrcian Orisa worship as practiced in Africa. I was initiated last March. Hi, I liked your article!!!! But I do want to know how does one get initiated into the religion? I know that you have to have a godfather/godmother and that one would have to get a reading and that you really have to trust that person and it’s not just someone trying to rip you off like people in Nebraska or Iowa. I was wondering if someone could tell me how Santeria helps women in Cuba? Does it give them a more important position in their communities as opposed to what they would have in regular Cuban society? Are women treated better in Santeria or is it equal to their treatment in Cuba? Is Cuban even that patriarchal anymore?